Does Android Pay Stack Up? As far as NFC-based smartphone payment systems go, Android Pay has all the features, bells and whistles that a user would expect in a secure, comprehensive mobile solution. Once your credit cards are connected to your Google account, they can be selected within the Android Pay app. Using Android Pay to complete an in-store purchase can be as simple as holding your Android smartphone near the NFC-enabled checkout terminal. The Android Pay app doesn’t even need to be open for the service to work. Additionally, by adding businesses’ loyalty cards to Android Pay, any coupons or loyalty points from those merchants will be automatically applied during checkout. GOOGL has also taken steps to ensure that Android Pay users are protected from potential thieves; credit card numbers are never transmitted during the payment process, and a randomly-generated virtual number is used in its place. This means that if hackers were able to steal your payment information, the details they’d get would be useless. 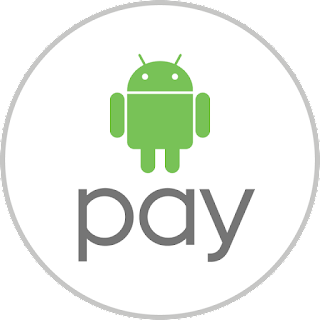 Can Android Pay Compete With Apple Pay? Of course, all of this assumes you shop at merchants whose retail locations have been upgraded to accommodate smartphone NFC payment systems, and that your own device is running no less than Android Kit Kat. Despite the fact that there are more than 20,000 types of Android smartphones being used by approximately 100 million people in the U.S., only about half are operating on Android version 4.4, and of those, only one in five contain NFC technology. That amounts to approximately 6 million Android devices in the U.S. capable of immediately utilizing the Android Pay solution. As with any newly unveiled technological solution, particularly one involving smartphones and credit cards, there will undoubtedly be some kinks and bugs to work out. But, ultimately, GOOGL developed a mobile payment system that offers convenience and protection for smartphone users. The question for investors, then, is whether Android Pay will help Google stock in the long run — and the answer is yes, it most definitely will. Android is the most popular smartphone operating system, and with tens of millions of Android users in the U.S. alone, having a comprehensive mobile payment system is necessary for GOOGL to remain competitive against AAPL.